When it comes to sharing your posts, the less effort it takes, the better. It doesn’t get much easier than writing the tweet for your readers and using one-click sharing. In this article you’ll discover five easy-to-use Twitter tools that make it simple and fast for readers to spread the word about your newest blog content. Four of the five tools in this article are WordPress plugins. It’s not hard to install a plugin, but if you’re just getting started with WordPress or haven’t installed one before, it’s worth reviewing this quick tutorial. Step 1: Log into your WordPress blog. Step 2: In the sidebar, click Plugins, then click the Add New button. Click the Add New button to install a new WordPress plugin. Step 3: On the next page (below), type the name of the plugin you want to install in the search box and click the Search Plugins button. Step 4: You’ll get a list of plugins that match or relate to the plugin you searched for. Find the one you want and click Install Now and WordPress does the installation work for you. Step 5: Click Activate and you’re done! Your new plugin shows up on your plugins page. Now it’s time to choose the plugin you want to install. Here are four I recommend (and one that’s not a plugin in case you don’t use WordPress). The Click To Tweet, by Todaymade WordPress plugin lets you pull key quotes or ideas from your post and put them in an attractive, prepopulated box within your post. Users can tweet your message with just a click of a button without having to write anything themselves. Jon Loomer uses Click To Tweet, by Todaymade to make it easy for people to share his content. When you create the tweet content, it makes things easier for you and your readers. It’s great for you because you control the tweet text and ensure key points are shared; it’s great for readers because it’s quick and easy. The Click To Tweet box stands out in your post and becomes a call to action. It’s a great motivator for your readers to share your articles. Step 1: Highlight the sentence you want people to tweet, and then click the Twitter icon (see below). Choose your tweet text, then click the Twitter button. Step 2: Paste your sentence into the textbox on the pop-up. Or if you prefer, you can edit the text or type in whatever you like. The text in this box is what appears in the Click To Tweet box in your post and the tweet itself. It’s important to note that you do not need to include a link to your post in the text box. Click To Tweet automatically inserts a link to your post in the tweet. Type the text you want readers to retweet. Step 3: Click OK and you’re done! Take a look at your post. You should see a line with brackets. Wherever you see the brackets in your post is where the Click To Tweet box will appear in your post. You can move it around if you like. Your tweetable text is in brackets within your post text. When your post is live, you’ll see the Click To Tweet box in all its glory in your post. This is an example of how Click To Tweet, by Todaymade would look on a live blog post. Easy Tweet Embed is the plugin we use at Post Planner, and we’ve seen a huge increase in retweets since we started using it. While it may not be as attractive as Click To Tweet, by Todaymade, this plugin’s simplicity gets the job done. I like this tool because you can pair it with different parts of your article so your readers can tweet them separately. This allows your readers to tweet your article several times, which translates into more exposure. I also like this plugin because you can use your own shortened links to track how much traffic those shares are bringing in. 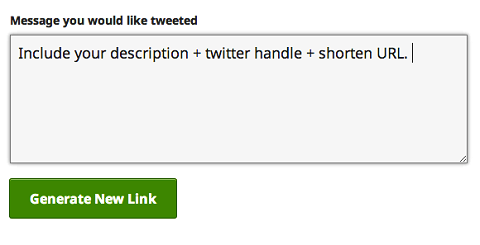 Easy Tweet Embed is a simple yet powerful way to get retweets. Step 1: Open your blog post and select and copy the sentence you want people to tweet. Step 2: Click the Twitter icon. Click the Twitter icon to get started using the plugin. Step 3: Type the necessary information in the pop-up. 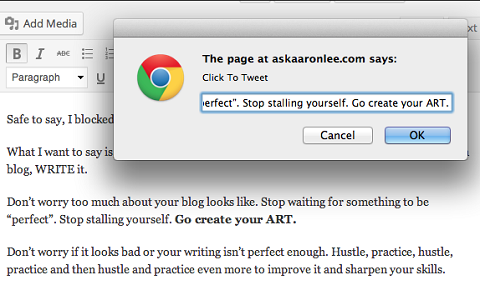 You can paste the sentence you copied in step 2 into the Tweet box. 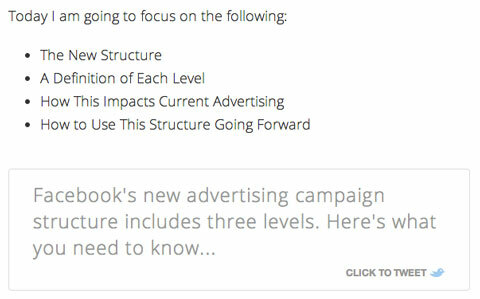 I suggest using a call to action as your anchor text (e.g., Click to tweet, Share this or Retweet this). Insert your call to action as the anchor text and the sentence you would like to be retweeted. Step 4: Click the Insert Permalink button. Now you can include the link you want people to include in the tweet (i.e., your post’s permalink). Alternatively, you can use a URL shortener like bit.ly. Copy your permalink and shorten it with the URL shortener of your choice. 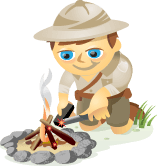 Flare is one of the most popular tweeting plugins. It’s used by 5 out of the 10 top social media blogs voted in on Social Media Examiner. 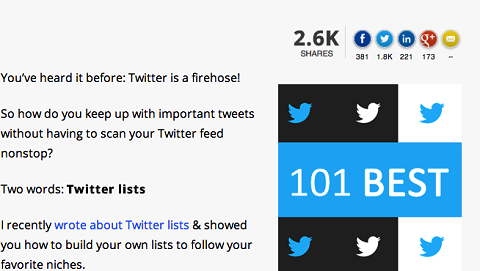 Unlike ClickToTweet and Easy Tweet Embed, Flare doesn’t provide prewritten tweets for readers. It’s simply a sharing tool. I like Flare because it shows the total number of shares (called flares, of course) each post has. That’s valuable social proof and it gets people’s attention and translates into more traffic. In the image below, you can see 2.6K—that’s the number of flares (total shares). Next to that are the icons readers can use to share the post. Flare provides social proof by showing the total number of shares your post gets. 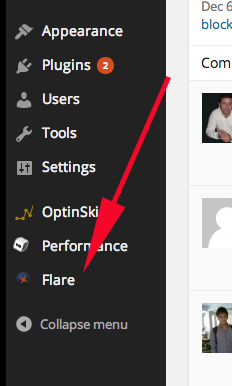 Step 1: Click the Flare link in the left column of your WordPress dashboard. Click the Flare link to get started. 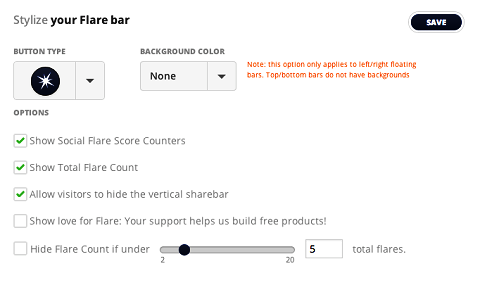 Step 2: Choose where you want your Flare buttons to appear on your posts (these settings apply to all posts). You’ll see a preview of how the buttons will look so you can determine which option looks best. I like mine to be on top as well as on a floating bar to the left. Set up the position where you want the share buttons to appear, then look at the preview to see how you like the setup. Step 3: Stylize your Flare bar. You can choose the shape of your icons, the background color and several other options. You can also choose when Flare shows the number of total shares (e.g., hide the flare count until your post has been shared 10 times). This is a handy feature if you’re concerned that a low number may have a negative effect on your overall shares (low social proof). 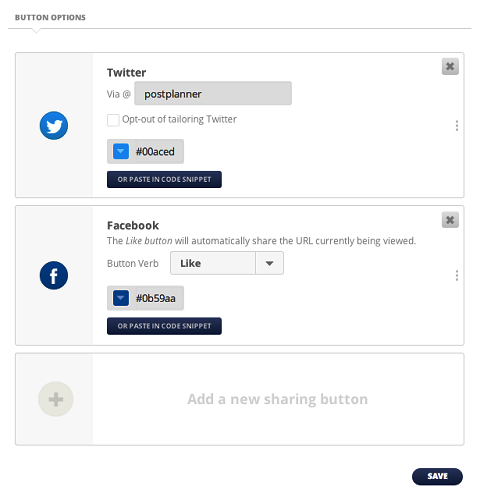 Step 4: Add the social media share buttons you want to use (e.g., Twitter or Facebook). Digg Digg is another popular sharing plugin. It’s similar to Flare, but it doesn’t have the social proof score (it only shows the shares by social platform). If you prefer something simpler than Flare, Digg Digg is the plugin for you. A side-by-side comparison of Digg Digg and Flare. 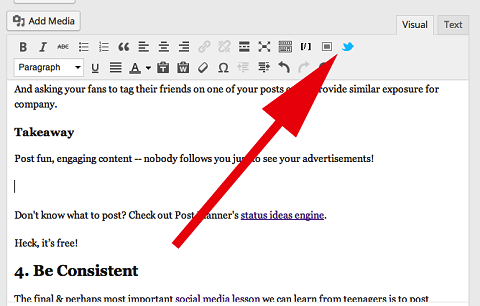 Step 1: Click the Digg Digg link in the left column of your WordPress dashboard. Click Digg Digg on the left column to get started. Step 2: On the Configuration page, type in your Twitter username. When people click your share button, your username appears in the tweets. A nice little perk to give you credit and encourage others to follow you. 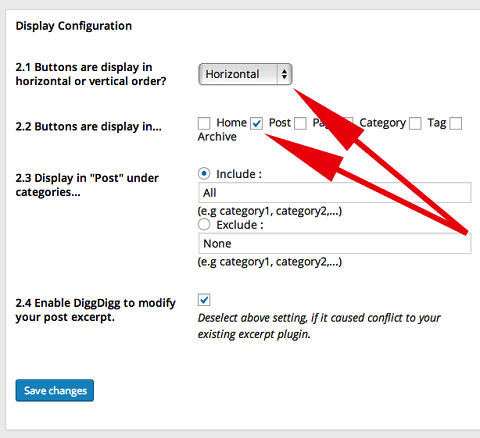 Step 3: Check the box next to Enable Normal Display so Digg Digg displays on your blog. 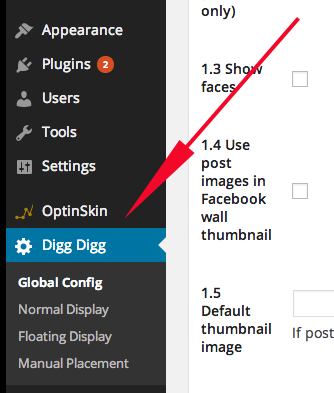 Make sure you’ve enabled Normal Display so Digg Digg shows up on your blog. Step 4: Set up the display configuration. Decide whether you’d like your Digg Digg buttons to be on the home page, individual posts, individual pages or category or tag pages. You can use those choices alone or in any combination. I usually put mine on posts only, but you can play around with it to see what you like best. 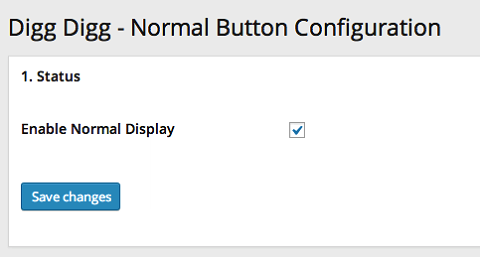 Customize the display and where you want your plugin to appear. Step 5: Choose which social sharing icons you want to include and set their placement (e.g., top, bottom, side, etc.). I like mine to be before the post because it grabs the reader’s attention, but you can always set them to show below the post. 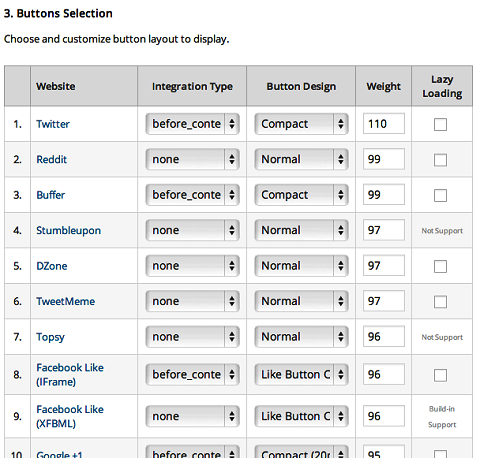 The weight column lets you arrange the order of the social icons. A higher weight means the icon appears earlier in the row. In this example, the Twitter button has a weight of 110, which means it will be first in the row. It will be followed by Buffer (99), Facebook (96) and Google+ (95) in that order, based on weight. In the image below, notice that Reddit has a weight of 99 (the same weight as Buffer), but I didn’t mention it as an option in the sharing icons row. That’s because the Integration Type column is set to None, which means the icon won’t show on the page, regardless of assigned weight. Set up the social share buttons for your blog here. Step 6: Repeat step 5 if you’d like to include a floating display. ClickToTweet.com is a little different than the other tools I’ve introduced because it’s not a plugin, it’s a website. ClickToTweet.com works similarly to Easy Tweet Embed. You can install a prepopulated tweet and use your own call to action in your blog post. I’m including this tool because it’s versatile. You can use it on blogging platforms besides WordPress, in PDFs and in your newsletters. Depending on your list size that can be huge boost in reach. 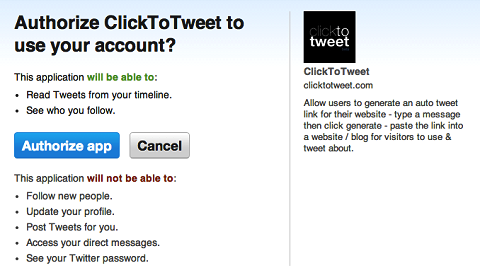 Step 1: Go to ClickToTweet.com and click Sign in with Twitter to get started. Sign up with your Twitter account to use this. Step 2: Authorize the app to connect to your Twitter account. You need to authorize the app to access your Twitter account. Step 3: On the next page, click Basic Link at the top of the page. Click the basic link to use this for your blog. Step 4: Type in the message you want people to tweet. Be sure to include your own Twitter handle and a shortened URL that points to your post. Type your message, Twitter handle and blog URL. 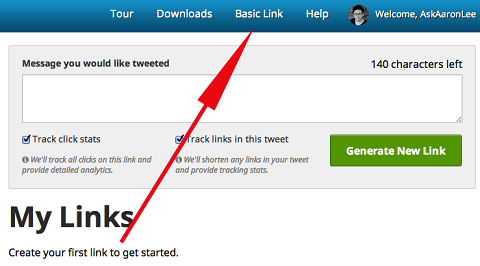 Step 5: ClickToTweet.com generates a link for you. Copy the link; you’ll need to insert it in your post in step 7. Copy the ClickToTweet link. You’ll need it for your post. 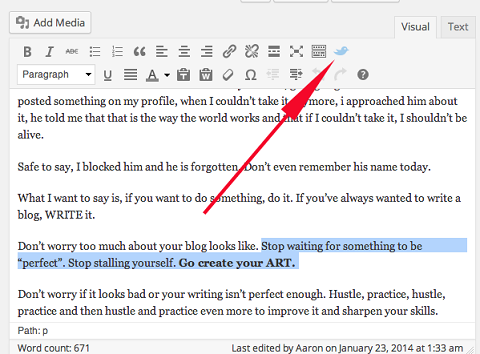 Step 6: Open the post you want to work with and write the call to action you want to use in your blog posts. Step 7: Highlight the call to action, click the Insert Link button on your dashboard and insert the link you copied in step 5. When I add a link, I like to click the Open Link in New Window/Tab option so readers aren’t interrupted as they read and share. Highlight a call to action and insert the link. Twitter is a powerful sharing tool. When you make it easy for readers to tweet out your content, they’re more likely to follow through. And each time someone tweets your content, his or her network sees it and that increases your reach. As you set up your tweetable content and plugins, remember to use a strong call to action. Prewritten tweets should highlight key messages from your blog post. It’s OK to provide a tweet for each key point. What do you think? Which Twitter tools have worked best for you? Do you have any tips for getting more shares? Share your thoughts in the comments below.